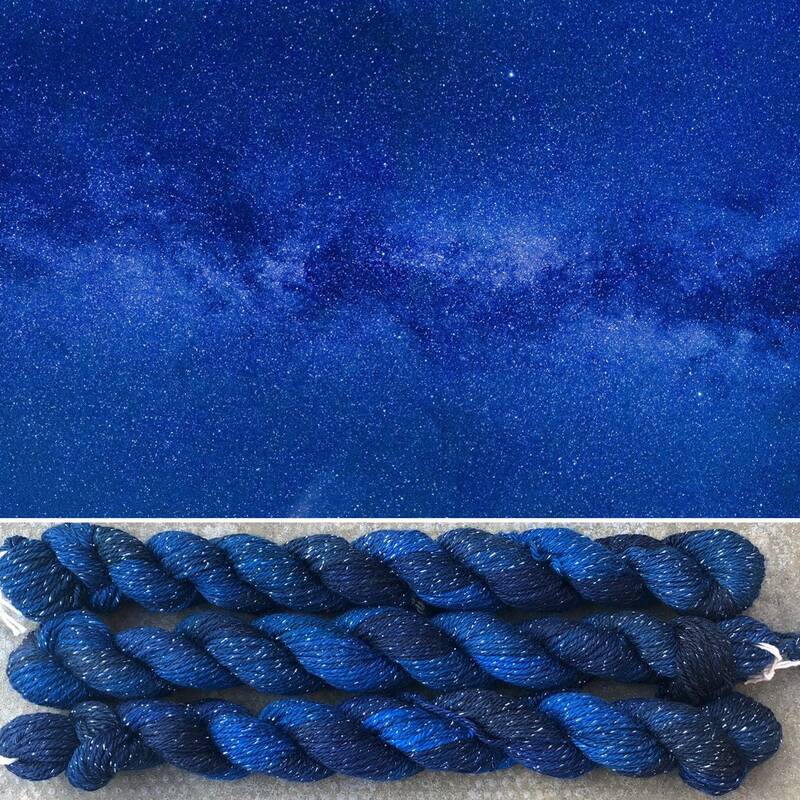 Inspired by the deep blues of the night sky with silver sparkle that glitters like stars! 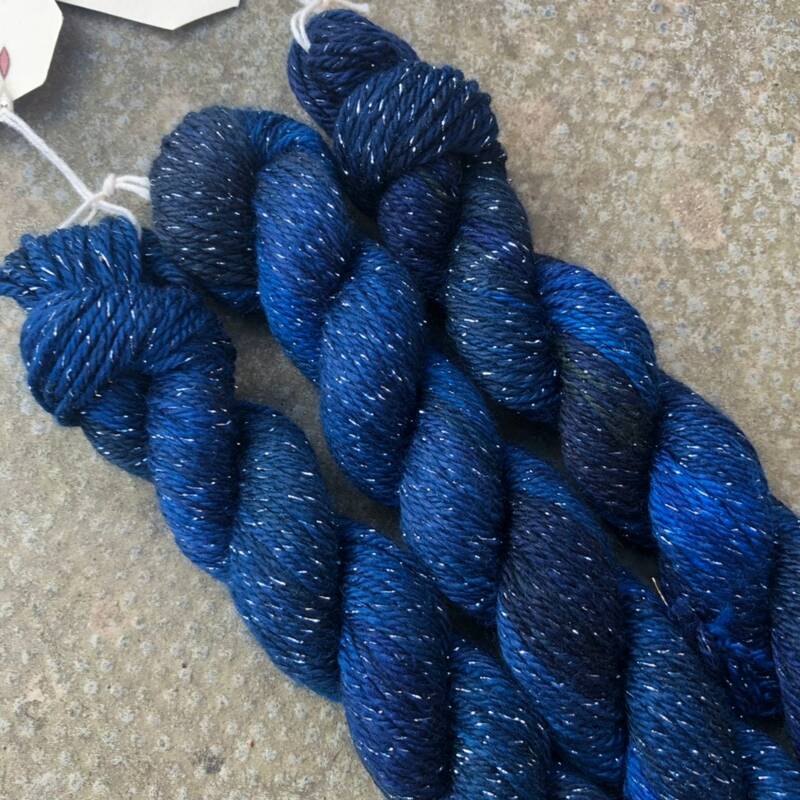 These are a superwash treated 4ply sock weight with 75% merino wool for softness and warmth, 20% nylon for strength and durability, and 5% lurex for a bright silver sparkle. 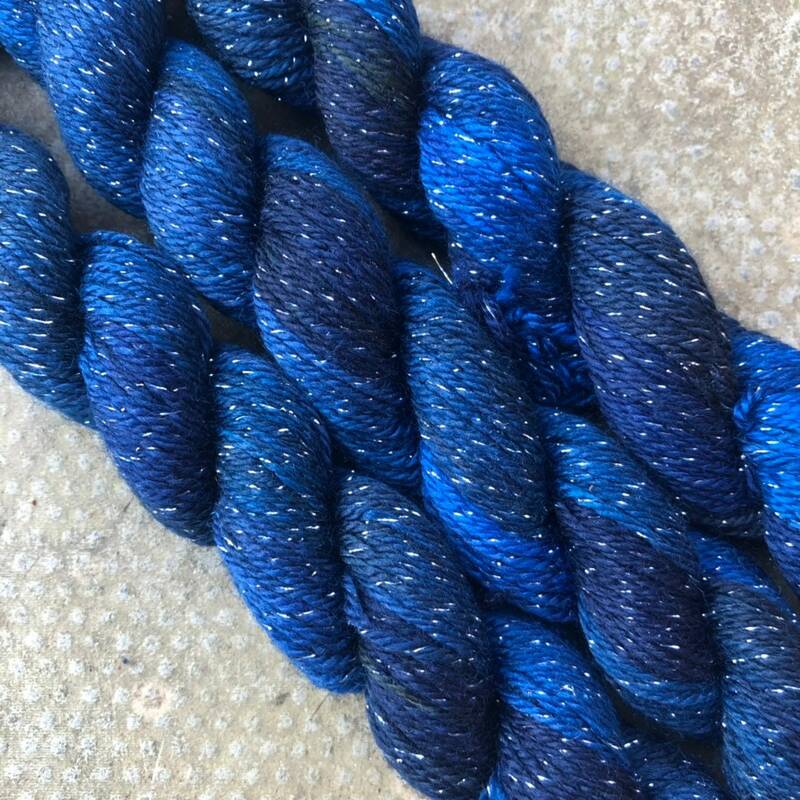 They are suitable for approximately 2-3mm needles. 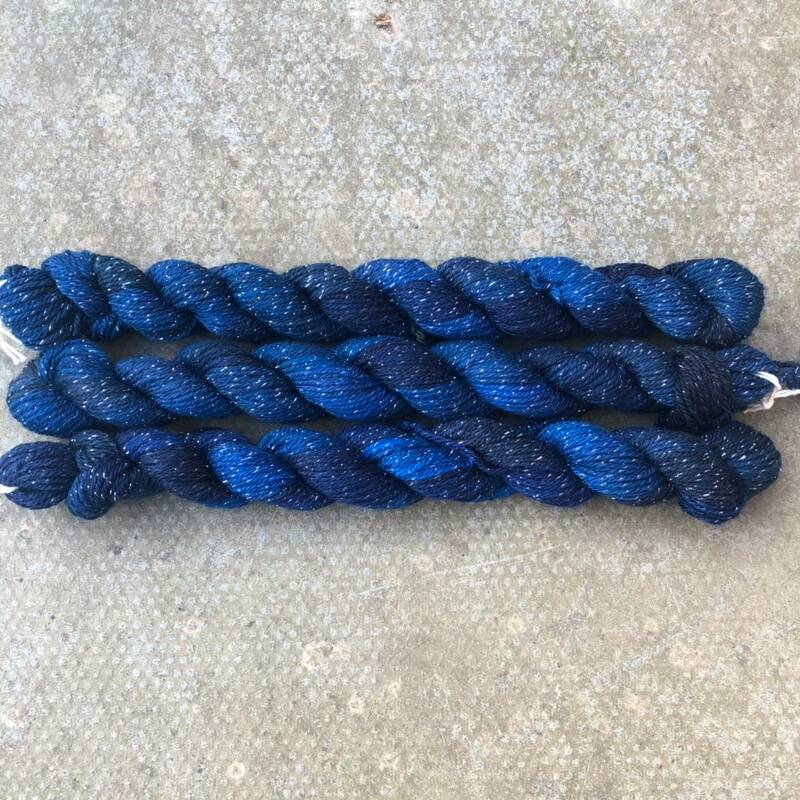 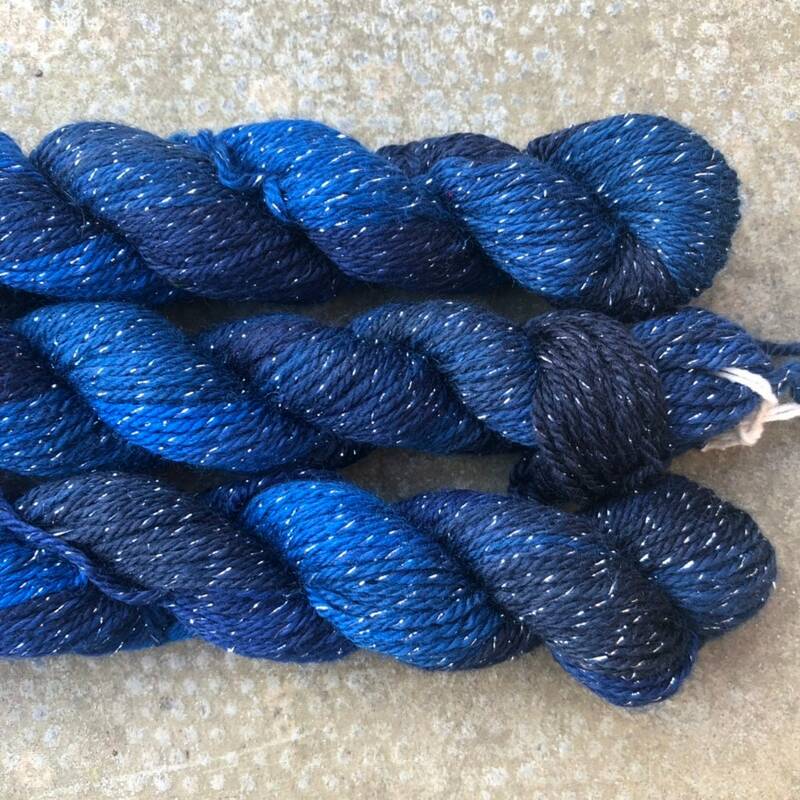 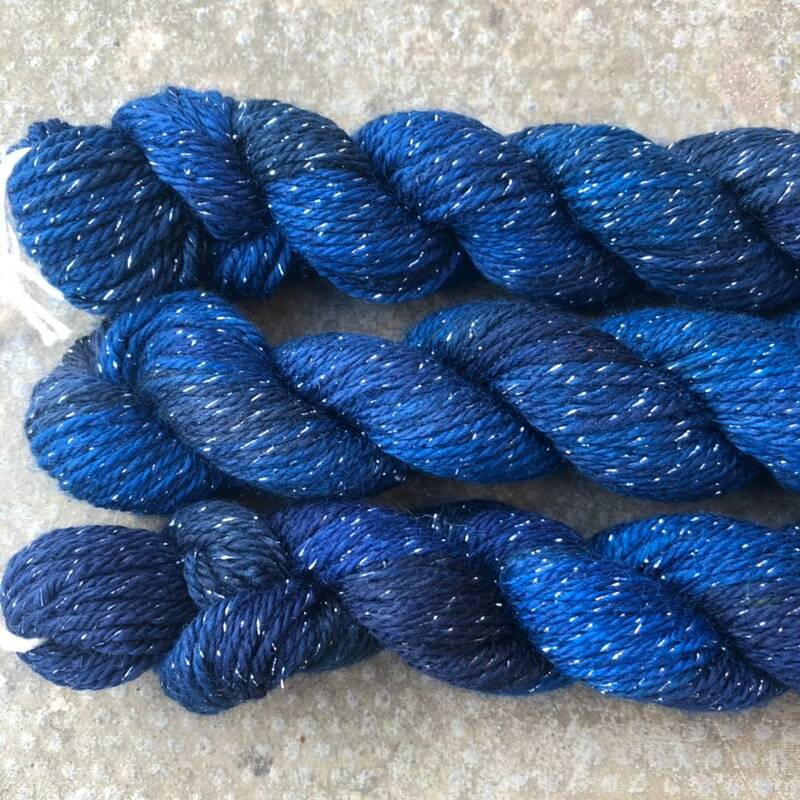 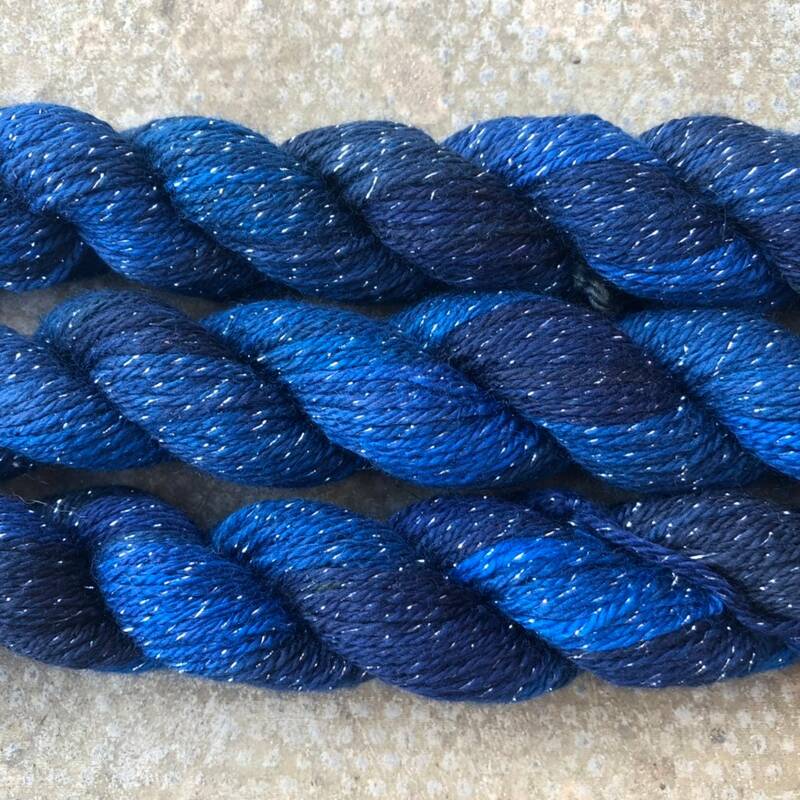 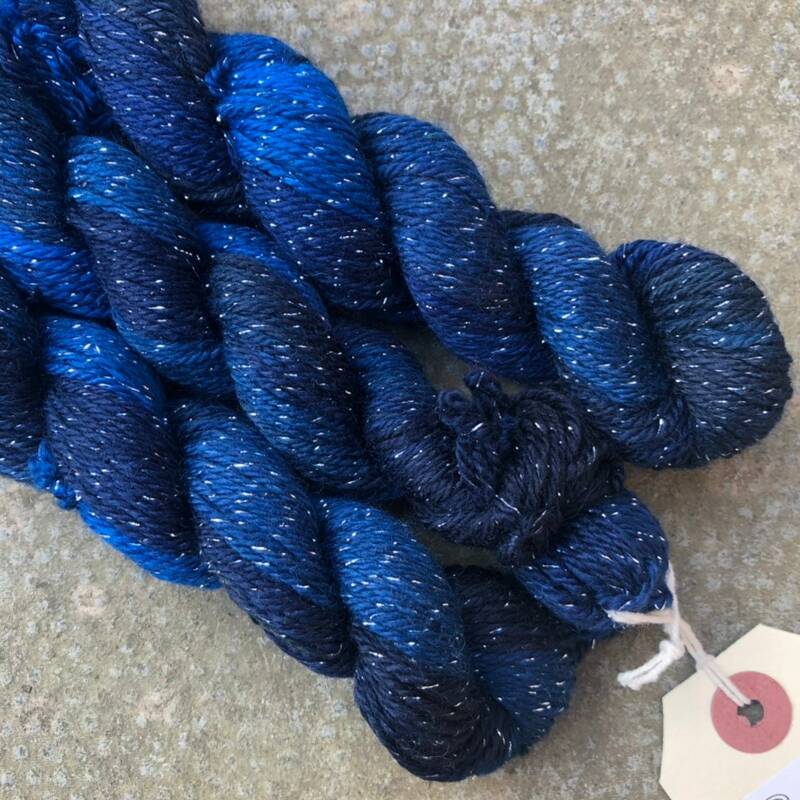 About 80 metres per 20g mini skein.